Mitty Blake loves New York City, and even after 9/11 he's always felt safe. He's a carefree guy, which is why he's late getting started on his advanced bio report. He'd much rather watch the game or hang out than do research on infectious diseases just to get a good grade. So he considers it good luck when he finds some old medical books in his family's weekend house that focus on something he could write about. But when he discovers an envelope containing two scabs in one of the books, the report is no longer about the grade--it's about life and death. His own. 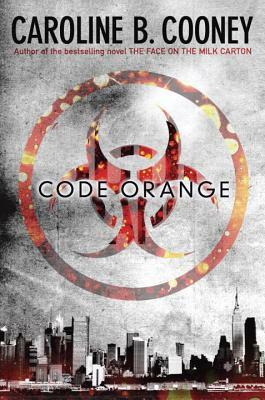 From the author of The Face on the Milk Carton, Caroline B. Cooney has crafted a bioterrorism thriller that is hard to put down. CAROLINE B. COONEY is the bestselling author of many young adult books, including the bestseller, The Face on the Milk Carton, the first volume in the Janie series.